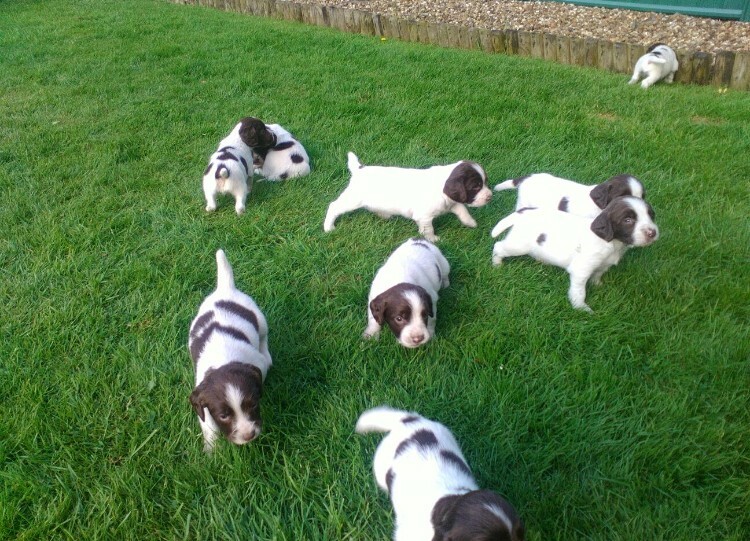 Nearly five week old English springer spaniel pups. health checked. wormed and flea treated. Sire helmsway heath championship winner Dam cornermarsh gayling girl line bred lovely pups. Kennel club registered. docked and Declawed. Microchipped with 5 weeks insurance.